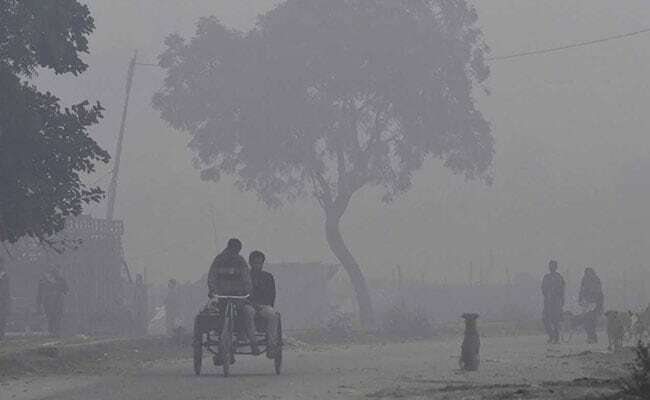 Vehicular emissions as well as illegal crop burning in the farm states surrounding Delhi have caused air quality to deteriorate dramatically, prompting calls for tough action. New Delhi: The government has advanced the rollout of cleaner Euro-VI compliant fuels in Delhi by two years on Wednesday to reduce high pollution levels in the city. The oil ministry said all vehicles plying in the capital will have to move to the new fuel from April 2018 to reduce emissions. India uses Euro-IV compliant fuels but last year decided to migrate to the Euro-VI level from April 2020, leapfrogging over Euro V norms. In a statement the oil ministry said while Delhi will move to the new fuel called BS-VI next year, it has asked oil companies if they can introduce it for the national capital region of Delhi involving all its suburbs by 2019. "This (new) measure is expected to help mitigate the problem of air pollution in NCT (National Capital Territory) of Delhi and surrounding areas," it said in a statement. Vehicular emissions contribute toward high particulate matter in the air posing a health risk. On Wednesday, a US embassy measure of particulate matter PM 2.5 in the air showed a reading of 265 for Delhi when the safe limit is 50, less than last week's levels but still unhealthy. These particles lodge deep in the lungs causing heart attacks, strokes, lung cancer and respiratory diseases, doctors say. Refiners are investing billions of dollars to upgrade their plants for producing Euro VI fuels. The new norms require gasoline and diesel to have a sulphur content of 10 parts per million down from 50 in the fuel currently in use. "The government of India has been making concerted efforts to reduce vehicular emissions and improve fuel efficiency with an aim to reduce the carbon footprints and keep a healthy environment," the oil ministry said. The centre is expected to issue a formal notification for advancing the roll out to next year.